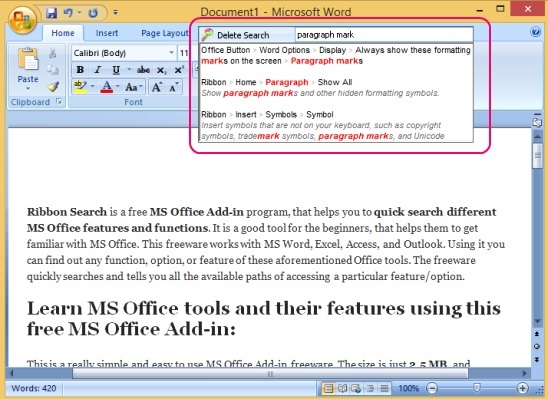 This article is a Windows 8 tutorial on “How to get back the Windows Start Menu in Windows 8”. As, everyone knows that the Windows 8 OS doesn’t have the legendary Start menu. This is what most of Windows users have missed. And because of this the newest Windows OS, that is Windows 8.1, brought back Start Button, along with some other improvements like ability to personalize Start Screen and the apps of Start screen, and improvements in Windows Store, Search Charm, and, the default inbuilt music and photo apps etc. However, even though it added Start button, the accompanying Start Menu is still missing! So, if you want to have a full featured Start Menu on Windows 8 or Windows 8.1, then follow this simple tutorial. For this, all you have to do is install any third party software to bring the Start menu. There are many third party software that can do that; to name some include: Start button for Windows 8 from Pokki, Classic Shell, and Start Charming. 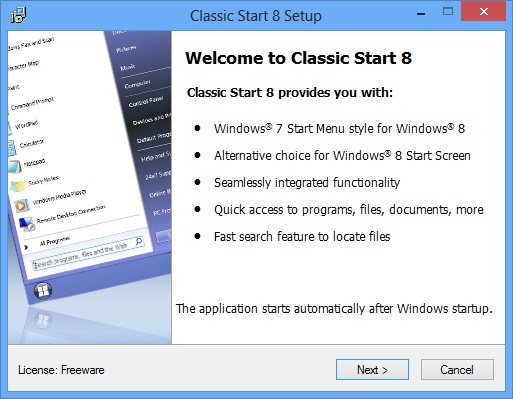 In this Windows 8 tutorial, I am going to introduce you to another software that can do the same: Classic Start 8 software. 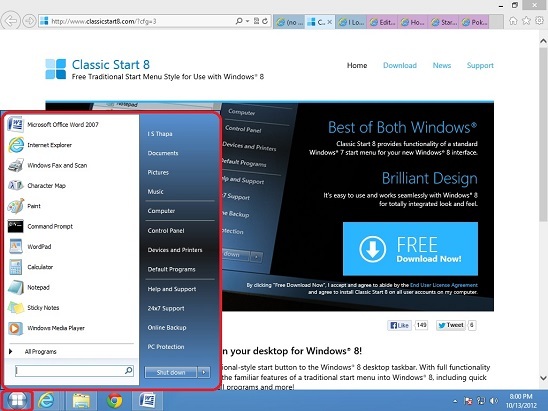 Classic Start 8 is a free application that can add the traditional style Start Menu to your Windows 8 desktop taskbar. It brings back all familiar features and functionality of Windows 7 Start Menu, including quick access to search, control panel, all programs, documents, pictures, music etc. All you have to do is download this software from it’s official website (link at end of the article), and then follow the installation instructions. Downloading and then installing it won’t be any problem as it’s quite lightweight, and installation is as easy as installing any other software. Simply follow the steps. Once the setup finishes this dialog box pops-up. Click on “Yes”, and you’ll have your Start Button and same old familiar Start Menu back. But, you should know that, once you’ll install this software. You won’t be able to use the Win key to jump back to Start Screen, and also Win + tab keys (keys to switch between Windows 8 apps). However the other shortcut keys like: Win + Q, Win + H, and Win + I works the same way. 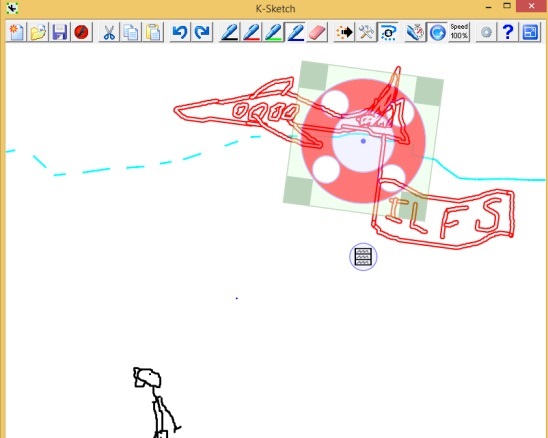 Also if you want to open Windows 8 Start Screen then, take your mouse to the left bottom corner of the screen and click! 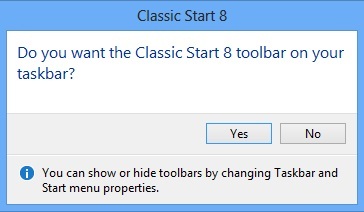 Grab classic start 8 here.